we were initially confused by seeing things like “Arlo baby discontinued” around the internet. Turns out, it hasn’t been discontinued, but Arlo originally planned to make a 7″ dedicated touchscreen display for the Arlo Baby, but then decided not to release that, favoring, as many other monitors do these days, a free app for your phone or tablet that acts as the ‘parent unit’. 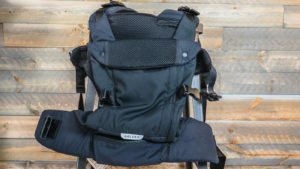 Let’s dive in, starting with a video, where John walks through unboxing the Arlo Baby, its features, and provides pros, cons, and a final verdict. [NOTE: this video doesn’t reflect some of the issues we found later … latency and software issues.] If you prefer reading to watching, just scroll past the video. we’re a participant in the Amazon Services LLC Associates Program, an affiliate advertising program designed to provide a means for us to earn fees by linking to Amazon.com and affiliated sites. Learn more. This review was originally published in August 2018. At that time, we thought the Arlo had some flaws but was overall worth considering. Based on new information (see below), we’ve updated the review as of November 2018 and are issuing a new recommendation—do not buy until critical issues are fixed. 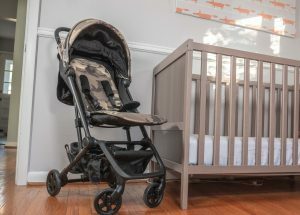 In this review, we’ll discuss the various components of the Arlo Baby, setting it up and using it, detail pricing and options, and provide our thoughts – the awesome, the wish it were different, and a final verdict. For our testing of the Arlo Baby, we enlisted the help of John’s son Calvin (8-9 months old at the time) and Oliver (6 years old at the time) to judge how the Arlo Baby performed as a true baby monitor and also as a monitor for older children who are still in that phase where it could be helpful to keep an eye on them. So, here we go. 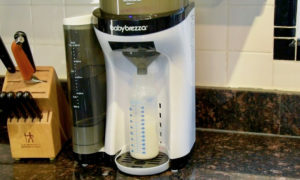 The Arlo Baby bills itself as an “all-in-one” baby monitor and “a super nanny”. By these statements, they must mean stuffed to the gills (or more accurately ears) with features. 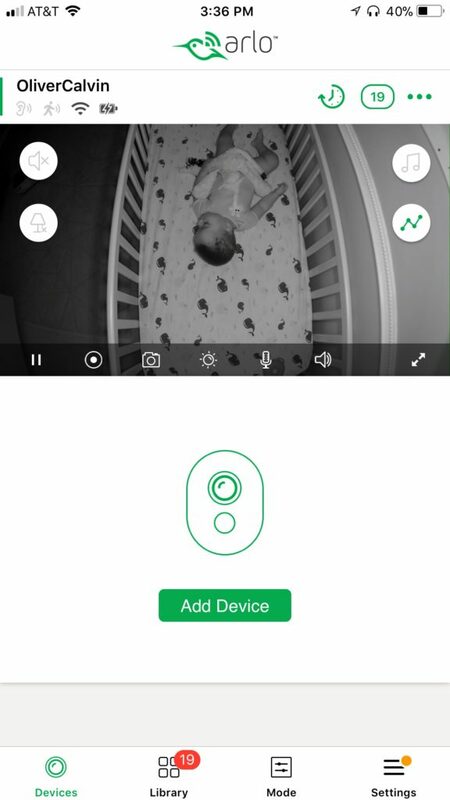 The Arlo Baby is a wifi baby monitor (utilizes your home wifi network to connect you to your child, not some other signal) that utilizes your smartphone or tablet plus a free app available for Apple/Android as the parent unit (the way you see and hear your child). As we’ve discussed in our other baby monitor reviews, wifi monitors have the advantage of unlimited range, so long as you’re connected to the same wifi network, a different wifi network, or have a cellular connection with your device. It’s also important to note they’re only as reliable as your wifi network and connection are. Let’s discuss each of the Arlo’s components. 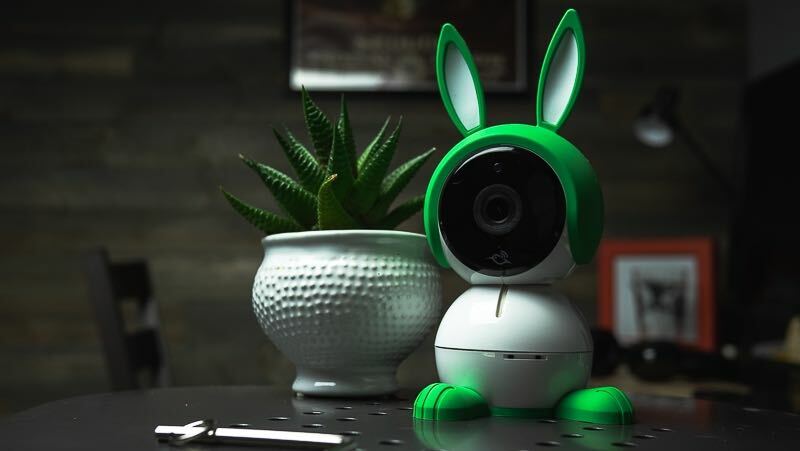 The Arlo Baby’s child unit houses the camera, plus a fair number of other things – the speaker to play sound/allow you to talk to your child, the nightlight, a battery so you can take it on the go, and a wall mounting kit (and, of course, the bunny ears). 1080p resolution is complemented by modern smartphone and tablet screens and looked great for closer monitoring (ie crib) and whole-room monitoring (ie for toddlers). Another interesting aspect of Arlo’s camera is the ability to change the field of view with the app – you can change it from 90 degrees to 130 degrees to change how much of a room the Arlo captures. This is in part necessary because while it’s possible to manually do so, the Arlo does not allow you to pan or tilt the camera in a motorized way via the app. It’s also helpful if you’re wanting to monitor a whole room and you stick the Arlo in the corner. As we’ve said before, you’re often going to be looking at your baby in the dark. So, a baby monitor’s night vision performance is just as important as its daytime image quality. Arlo notes that the night vision works for up to 15 feet, so that could become an issue if you’re monitoring a whole, large, room. The Arlo’s microphone is *really* sensitive. I could hear Calvin’s (8 months old) gentle snoring through the monitor. This was pretty cool, but as we’ll discuss in the review section below, also got annoying – I could hear my dog barking 3 rooms away through the monitor. And any little sound picked up by the monitor turned into a notification on my iPhone, which got old really fast (you can turn these off or schedule them). The Arlo Baby features “2-way communication”, giving parents the ability to communicate with a child through the app and the child unit’s built-in speaker. Sound quality on this feature was pretty good. The other aspect of sound has to do with one of the “bonus features” – the Arlo Baby has the ability to play music, and (more importantly to us) white noise through its speaker. We appreciated this since, as we’ve said before, finding a consistent way to play white noise for your child all night long, if you’re into that (and we are, 4 kids later), is actually a pain in the neck – in our experience it’s meant finding an old phone or tablet, a place to plug it in, and having that be a dedicated white noise machine. So, having white noise built in was helpful, and the sound quality through the speaker was just fine and seemed good enough for Calvin. We’ve started including a note about background audio in all of our baby monitor reviews that cover monitors that use your smartphone or tablet as the parent unit. Why? Well, it’s important and not obvious if you haven’t used one of these things. Since you use your phone for other things, it’s not a ‘dedicated’ parent unit for your monitor. So, when you go to check Twitter, you still need to be able to hear your baby. When you turn off your phone’s screen to do other things or at night, you still need to be able to hear. This is background audio. 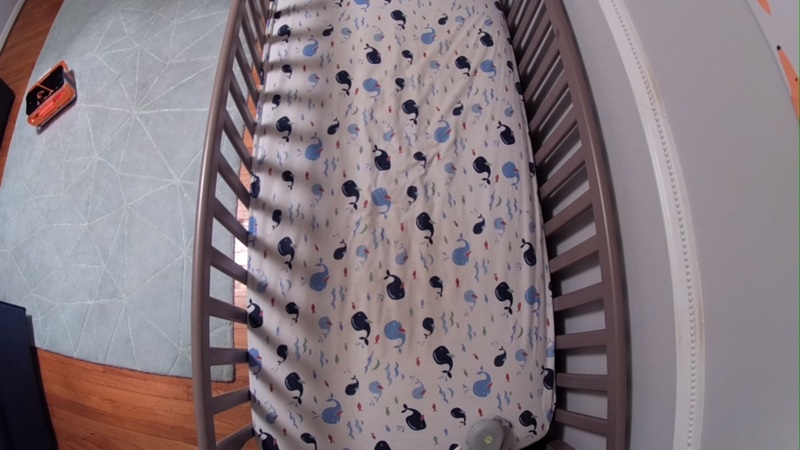 With Arlo Baby, background audio worked well, I had no issues, once I found the button. To turn on background audio you have to press a button, which is unintuitively placed and took me a minute to find (it’s the image of the speaker in the upper-left). To control the volume of background audio, you use your phone’s volume controls. Unlike any other monitor we’ve tested, Arlo Baby features an option to use the camera without it being plugged in, thanks to a built-in rechargeable battery. While this was a cool concept, in practice we found the battery lasted only about 2 hours, so it wasn’t practical to use to take the camera with you overnight, and we couldn’t think of too many good use cases for when we’d want to use the battery-powered option. I did use it once when I was upstairs getting ready for work for a few minutes while Oliver and Calvin were playing downstairs. The Arlo Baby also features a nightlight, which, thanks to it being LED-powered, can be displayed with nearly any color on the visible spectrum. As the other member of the Fathercraft team Paul likes to talk about, this means you can eliminate blue light, which can be harmful to your child’s, and your own, sleep quality. You can also play a light show with the nightlight, but we have a hard time imagining a use case for this. The Arlo Baby’s air monitoring features monitor temperature and also something called volatile organic compounds or VOCs. Other monitor’s like the iBaby family do the same. 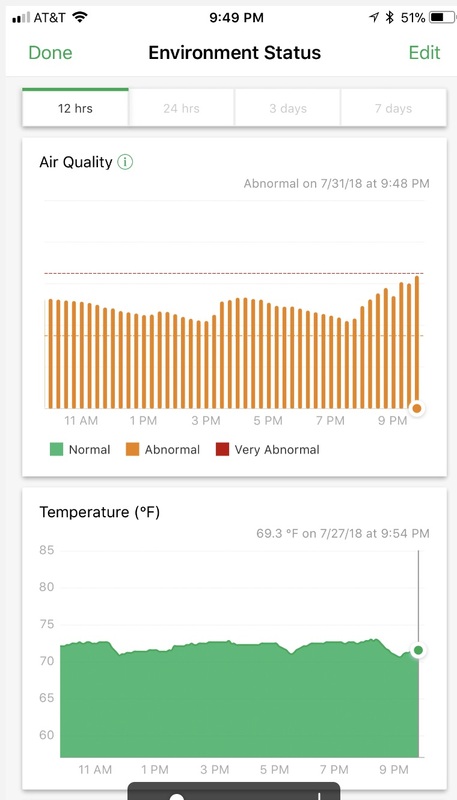 In practice, we found two things to be true of Arlo’s air quality monitoring – 1) when you get alerts about air quality, it doesn’t tell you *what* it’s sensing, just that it’s sensing something. This caused me some apprehension – was Arlo detecting some harmful gas leak in Calvin’s room, or just a dirty diaper? 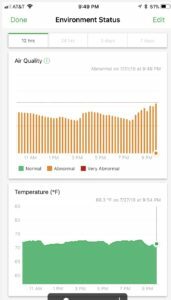 2) the air quality monitor seems to either be quite aggressive, or both Paul and I have poor air quality in our homes (he experienced the same thing when reviewing iBaby monitors. No review of the Arlo Baby would be complete without mention of the bunny ears. We’ll make it a short one. We asked ourselves, “why?” and didn’t come up with much. Sure, they make the Arlo Baby cuter. But, we wondered who this was for. Parents? Kids? 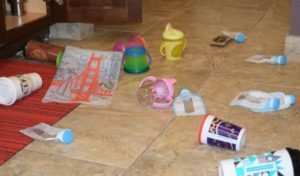 It’s likely your kid has plenty of cute stuff in her room, and we wonder about the wisdom in calling more kid-attention to something you don’t really want your kid messing with. Using the Arlo Baby’s app was kind of terrifying. The combination of an abundance of features and a whole lot of alerts produced an overwhelming experience. Another quirk that got pretty annoying was the fact that Arlo Baby defaults sound to on each time you open the app, and if you turn it off, navigate to another screen within the app, and navigate back to the live feed, you’ll find the sound back on again. 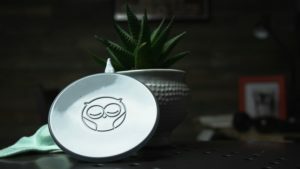 Setup was pretty easy – plug it in, briefly connect to the Arlo’s wifi through your phone’s settings (an act that will be familiar to anyone who’s used an internet-connected device). Then, just enter some simple info about your baby and you’re off to the races. It did seem to take a while for the connection to become stable, though this could have been my wifi. By the day after setting it up, the connection seemed rock-solid. Video feed. The Arlo Baby has by far the best image quality and video feed we’ve seen in a baby monitor, which is great for keeping an eye on your baby and identifying the little things like whether a pacifier is in or has been lost. Sound quality (good, also can be annoying, see below.) Arlo Baby’s microphone on its child unit is incredibly sensitive. The fact you can hear your child gently snoring is comforting (and cute) in the sense that it makes you confident you’ll hear your child when he needs you. Built-in white noise and night light. There’s a lot of stuff you need in your child’s nursery or room, so being able to combine things is great. The Arlo’s night light and white noise features both proved useful, even if the number of options for each was a bit overkill. 2-way communication. With Calvin, I didn’t find myself using the 2-way communication feature on the Arlo Baby — as he was 8-9 months old during testing, it would have been a one-sided conversation. 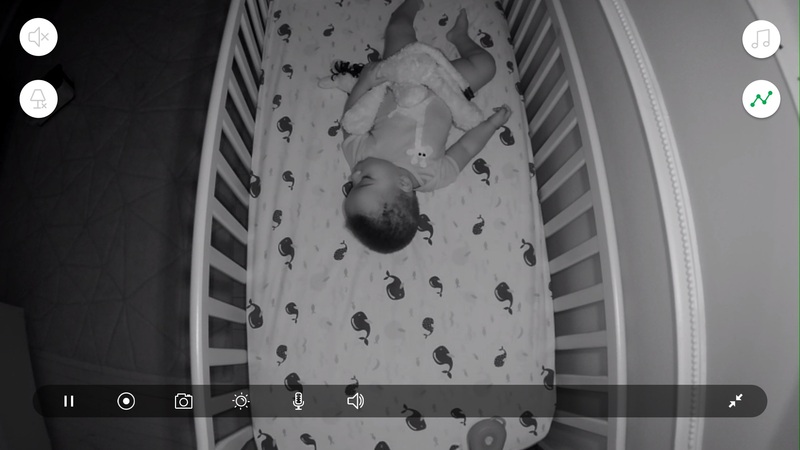 But as we’ve had good luck being able to calm our older kid and get him to go back to sleep through a monitor, to me, having this feature extends the useful lifespan of the Arlo. Latency [updated]. We started to notice latency issues with the Arlo well after our initial review was done—a good chunk of the time, sound and video feed from the app was a good 4-5 seconds behind the real world. At best, this is annoying with an older child, but to us it’s a dealbreaker for babies. Numerous software issues [reported by reader, Arlo Support Community—updated November 2018]. A Fathercraft reader alerted us to numerous software issues she’d experienced with the Arlo – pixelation, app crashes, and lack of sound. 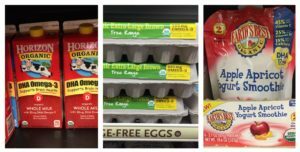 While we didn’t personally experience these issues, we did some investigation with Arlo’s Community Support Forums and found dozens of similar complaints. Our reader also noted Arlo Support was quite unhelpful. The app experience. The Arlo Baby app is a case study in feature overload and the user experience that produces. Navigating around it was stressful and it took quite a while for me to get used to where everything was vs other monitors with more intuitive apps we’ve tested. Notifications and sound sensitivity. Notifications on the Arlo drove me nuts. I didn’t need to be notified by the Arlo that my dog was barking in a different room, but it happened. Sound defaults to being on, even within app sessions. As we discussed above, the fact that the Arlo Baby’s sound defaults to on was obnoxious. Overall, there’s a lot to like about the Arlo, especially if you’re willing to put in some time and frustration to learn how to use the system. It’s image quality, sound quality, and some of the additional features proved really valuable. 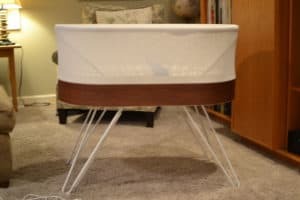 We appreciated the versatility of mounting and placement options, which allow for everything from a birds-eye view of a baby in a crib to a room-wide view of your toddler’s bedroom. The app experience, on the other hand, left a lot to be desired. We would note that after you get used to it, it becomes more manageable, and some of what we experienced seems like it could be fixed by Netgear in future software updates. And, critically, latency issues we began to experience a few months into our testing, plus the note from our reader and research on the Arlo Support Community lead us to our final recommendation—we DO NOT recommend the Arlo Baby as of November 2018. If crystal-clear picture is at the absolute top of your priority list when buying a monitor, you might decide to ignore our recommendation. And, if software issues can be fixed, we think the Arlo is with the leaders of the pack from a longevity (infant to toddler/young child) perspective. If you’re looking for a camera specialized in being a baby monitor or with features like sleep analysis, we’d recommend checking out the Nanit. For monitors we do recommend, here are all of our baby monitor reviews. 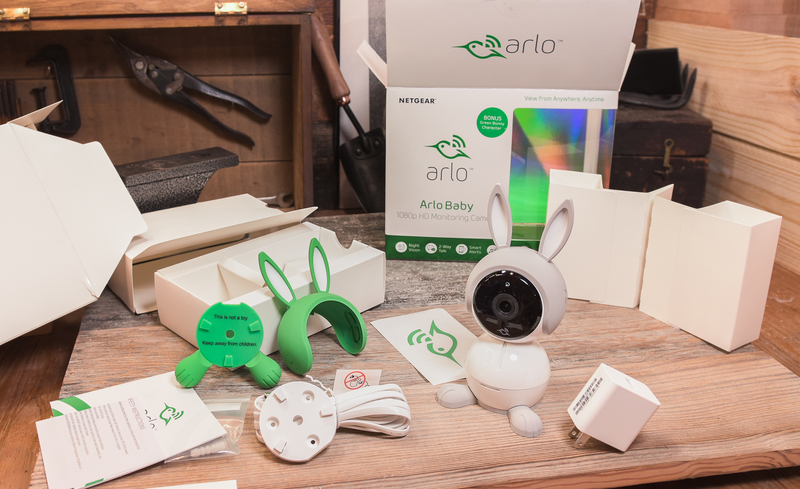 The Arlo Baby retails for $199, including the monitor, a pair of bunny ears and feet, a wall mount kit, and 7 days of cloud storage. If you want to store the videos from your monitor for a longer period of time, you can purchase a paid plan after the fact from Arlo. Arlo Baby is available at big box stores like Best Buy, Fry’s, and Walmart, and also from Amazon, where it’s got 2-day free Prime shipping. Additional accessories include (Amazon links) a table/floor stand (MSRP is $39.95, and which we have to admit we like because the Arlo appears to hold on with its feet, and more practically, can be positioned in a ton of different ways) and ears/feet combos to turn your Arlo into a puppy, or a kitten, – both of which have an MSRP of $19.95.